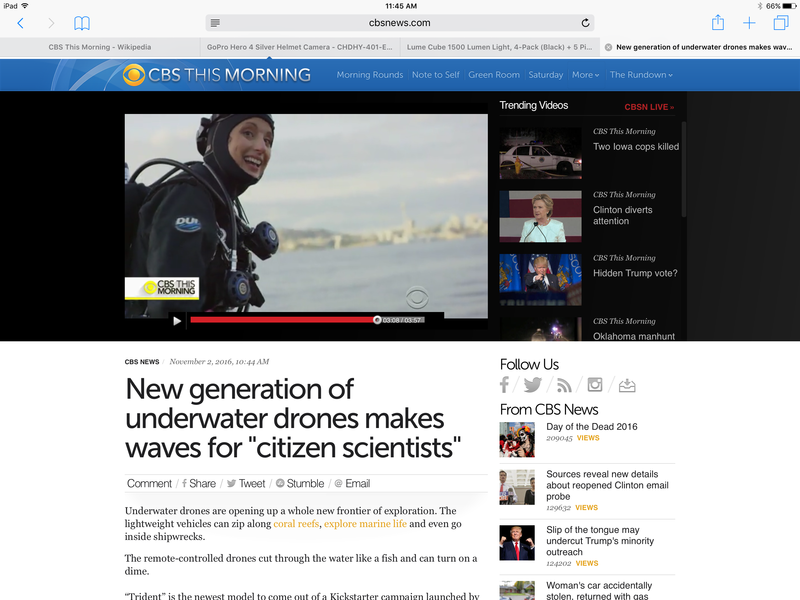 OpenROV, Seastar Wasting, Citizen Science and DiverLaura on CBS This Morning!!! Seastar Wasting Syndrome awareness continues to be the gift that keeps on giving! Check out our story on CBS This Morning, with David Lange and Eric Stackpole discussing OpenROV and Citizen Science! Outstanding!! Keep up the great work.